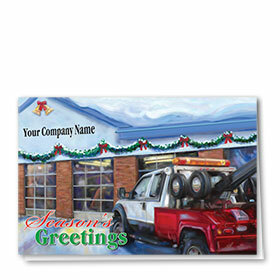 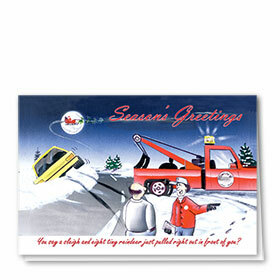 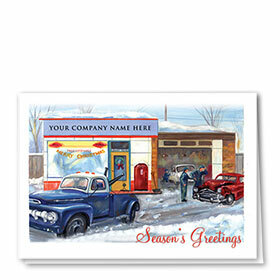 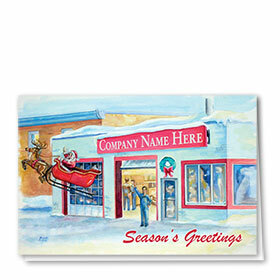 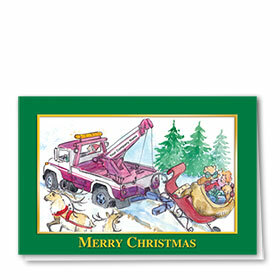 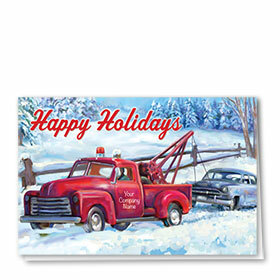 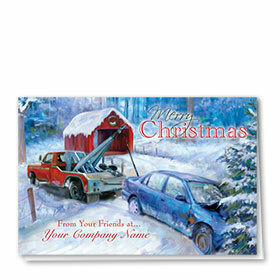 Search through our select line of automotive Christmas cards perfect for your towing business. 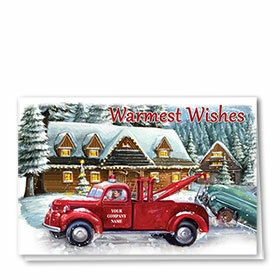 Automotive towing serice Christmas cards show your exceptional customer appreciation and help to keep them coming back in the future. 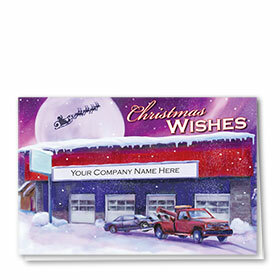 We have a great array of premium, deluxe and double-personalized options available. 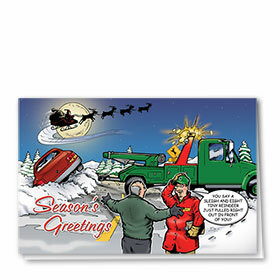 Customize any of our towing holiday card designs with your choice of message and service information, as well as from a variety of colored envelopes or plain white with silver or gold foil lining. 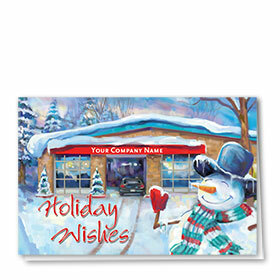 Save on individual unit price when you buy in larger bulk quantities.